Roy Hodgson has challenged Christian Benteke to provide the goals needed to lift Crystal Palace out of the Premier League's bottom three. The fit-again Belgian returned from a knee injury as a substitute in last week's 2-2 draw with Everton, ending the six-match period in which Hodgson was without a fit senior, recognised striker. He is pushing to start on Saturday at home to Stoke - Hodgson considers his availability a "nice headache" considering Wilfried Zaha and Andros Townsend have impressed in a front two in his absence - when the manager seeks three points. The lack of a finishing touch cost Palace victory at home to Everton and, Hodgson believes, a draw in the defeat at Newcastle and three points when they drew with West Ham. Benteke was also Aston Villa's most influential player for three seasons as they avoided relegation - they were demoted after he left for Liverpool - and regularly scored for Palace towards the end of 2016/17 under Sam Allardyce. "We are absolutely aware of that," said Hodgson, 70. "But we can't get hung up on past records. "It has got to be what happens in the future, and we do think we will get an awful lot of help from him in these next 26 games and he will play a crucial part in us staying in the league, that's what we believe. "But of course, he has got to get out and do it again and that's what football is: it is about the next game. "The fact you have had two wonderful seasons: you have still got to go out and get the third. "Anyone who can score goals for teams in relegation problems or situations is worth their weight in gold." Before the manager's appointment, chairman Steve Parish had been criticised for the transfer policy that left Palace with only one recognised striker. However, Hodgson believes recent weeks prove that is no longer the case. 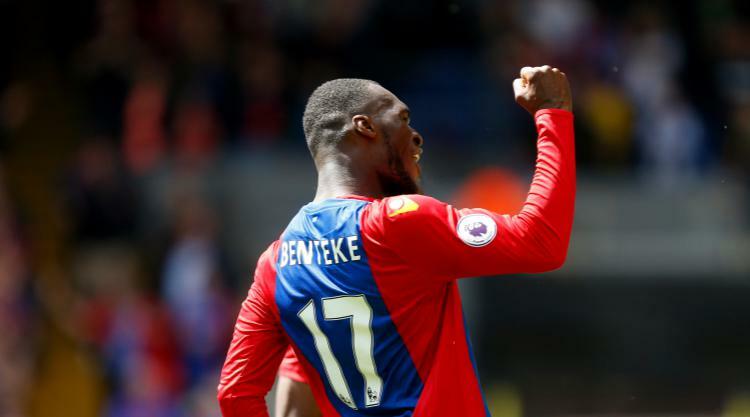 saying: "Benteke is in a mix where two of them (Zaha and Townsend) could play for other positions in the team. Not competing with four out-and-out, same type of centre-forwards. "I am looking at four that could come in and play there, with (Bakary) Sako as well. "Sako has made enormous strides as a forward. He sees himself as a left-winger, but we have actually been doing a lot of work with him as a centre-forward and he is a player who has definitely shown in the training sessions he is really picking up on what we are looking for."